As fall turns to winter and the mountains receive their first dusting of snow, B.C. can be a visually stunning place. And what better way to take it all in than by embarking on an epic road trip? We’ve put together a top three list of beautiful places off the beaten path that are easily accessible from the Lower Mainland. Although connected to the mainland, getting to the Sunshine Coast requires a short trip on the BC Ferries, from Horseshoe Bay, in addition to a car ride. Once there, cruise along the coast and stop in the town of Gibsons for a bite to eat at Molly’s Reach, the iconic café from the Canadian TV drama The Beachcombers. Park the vehicle and wander around one of the many trails like Langdale Falls or Eagle Falls to enjoy spectacular waterfall views. 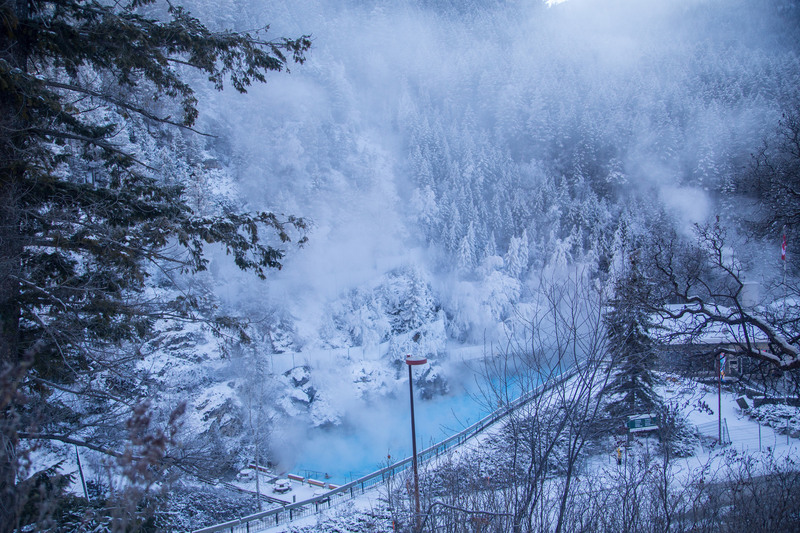 Tucked away in southeast B.C.’s Kootenay region, this village is home to one of the province’s top natural hot springs. There’s just something about soaking in a mineral-rich pool, kept between 37 and 40 Celsius, while watching snowflakes fall gently from the sky. Before hitting the water, partake in a little sledding, snowshoeing or cross-country skiing. Radium is located three kilometres east from the junctions of Highways 93 and 95, and is 30 minutes from Banff, Alberta. If local lift pass prices got you down, then head on over to Manning Park Resort for amazing and affordable alpine experiences. Weekend ticket prices are $59 for adults and $39 for kids, and there are other activities available like tubing and ice-skating. The destination is also popular with stargazers because of its low level of light pollution. Getting to the resort is easy — hop onto Highway 1 to Hope, and then travel along the twisty Hope-Princeton Highway. Before setting off, check to see whether your vehicle is ready for the elements. That includes ensuring all maintenance is done, packing an emergency safety kit and fitting proper tires. 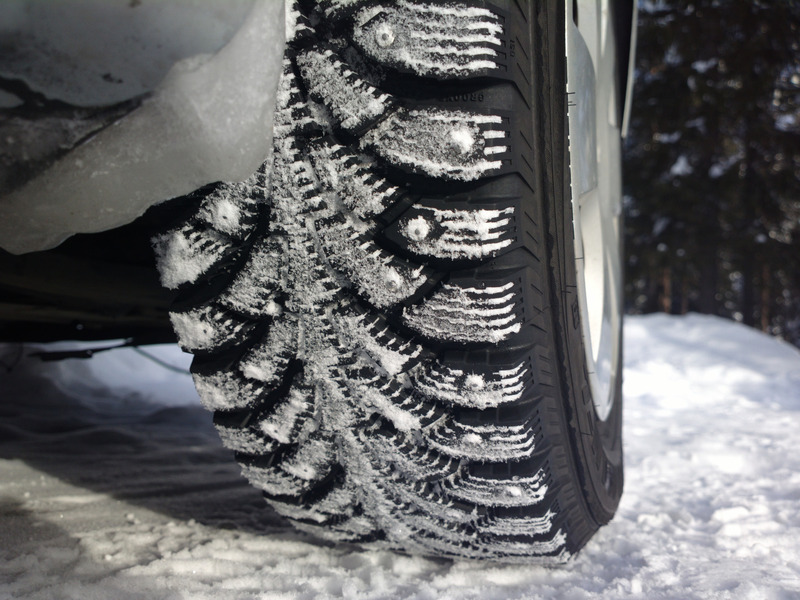 Winter or all-weather tires (or chains) are legally required in parts of the province deemed heavy snowfall areas from Oct. 1 to March 31, and on certain routes, until April 30. Refer to the government website for more information. Driving has never been this rewarding. Club OpenRoad is OpenRoad's loyalty program, offering many exciting events for members, from driving clinics to vehicle launch events to family skating. Members also enjoy perks and privileges from our partners as well as a complimentary subscription to OpenRoad Driver Magazine.